Introducing the Yamaha GL1 Guitalele, now officially available for the first time in the USA! Half guitar, half ukulele100% fun. 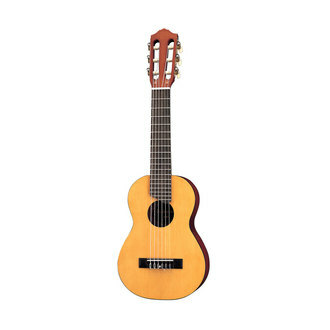 A unique mini 6-string nylon guitar that is sized like a baritone ukulele (17 scale) and plays like a standard tune guitar. The guitaleles tuning is pitched up to A (or up a 4th) at A/D/G/C/E/A.